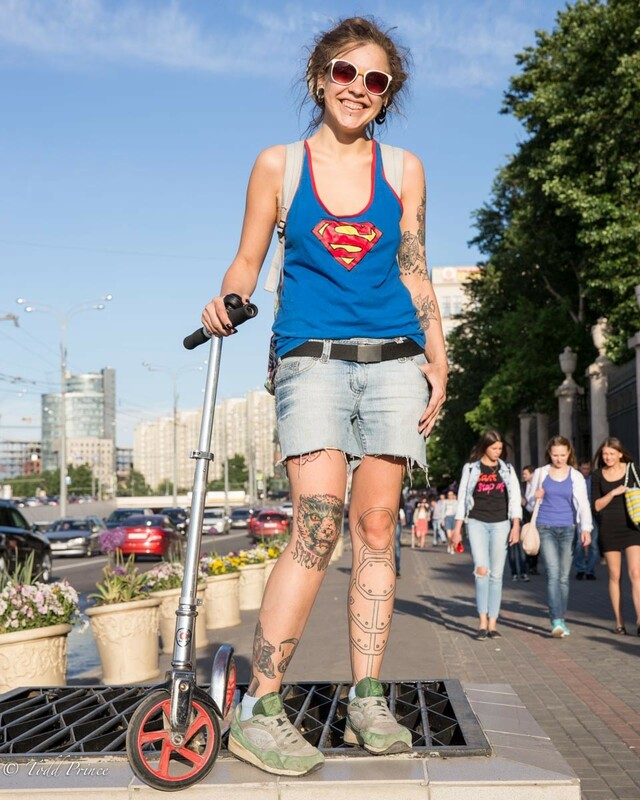 MOSCOW: Sveta was riding a foot scooter on her way to Gorky Park around 7pm at night. She was sporting dreads and was dressed in a Superman t-shirt. Tattoos covered her legs. Sveta said she is a tattoo master and has a small workshop near one of Moscow’s metro stations. Born in Ukraine, Sveta grew up in Siberia and then moved around Russia, eventually ending up in Moscow. Since then, she says she has studied tattoos and works in her own style.